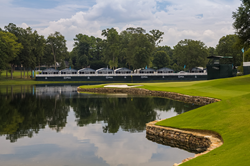 Arena was awarded Best Achievement in Event Rental Support for the 99th PGA Championship at Quail Hollow in Charlotte, NC. Headquartered in Oak Creek, Wisconsin, Arena Americas is the North American division of the Arena Group, whose global offices are in the United Kingdom. The Arena Group supplies special event equipment and services, ranging from clear span tenting, stadium seating, scaffold, and bleacher systems, HVAC, Event Flooring, Table Top services, interior décor services, and ice rink equipment and operations, from 14 locations in 7 countries around the globe.